In an old woollen mill, remarkable for its roof timbers and central columns, the exhibition presents four themed levels including monumental machines (forge, power hammer, mill wheels, presses), demonstrate the traditions of the Rouergue. 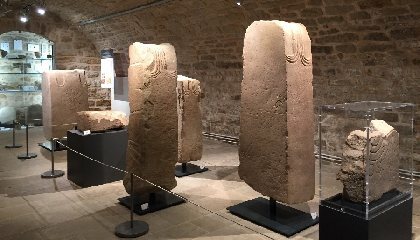 Linked to the latest archaeological research in the Aveyron, presentation of temporary exhibitions and archaeological collections from the Aveyron. Pedagogical activities and visits to archaeological sites by appointment.